This is a really pretty wire wrapped pendant necklace. 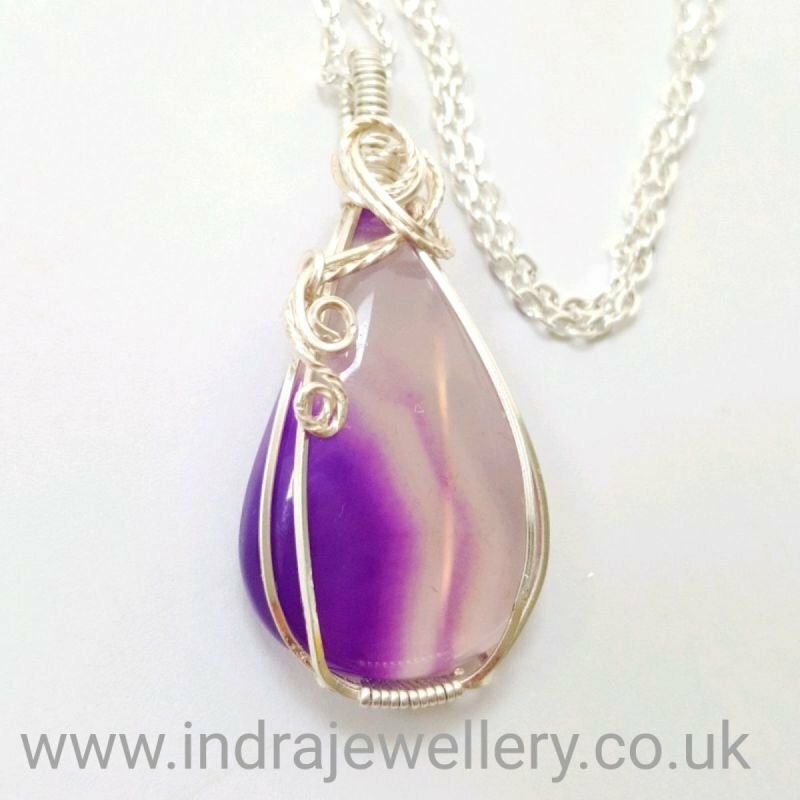 The pendant is a natural purple onyx which has a beautiful banded effect on it which is actually clear in places. I have wrapped it in a wire cage and attached it to a silver plated chain. The pendant measures approximately 2" by 1" and the chain measures 20". The photos don't do this necklace justice, it will go with any outfit, whether it is daytime or evening.